The following beaches are not in order of preference: I like each one just as much as the others. I’ve written a description (including accommodation information) for each beach and plotted them on my map. 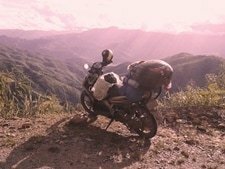 Although these beaches are far from being remote, they are best accessed by your own means of transport, ideally by motorbike (see Related Posts for motorbike guides and more). Unlike the popular, easily accessible beaches of, for example, Thailand, the relative inaccessibility of these 7 beaches is part of what makes them special and, more importantly, keeps them empty. A triangle of sand wedged between rocky headlands, Môn Beach is just south of Tuy Hoa City, in south-central Vietnam. On a clear day, the water is the colour of Bombay Sapphire gin. There’s often a handful of wooden fishing boats floating in the bay – the water is so clear that you can see the shadows of their hulls on the seabed. National holidays aside, there’s never anyone here. 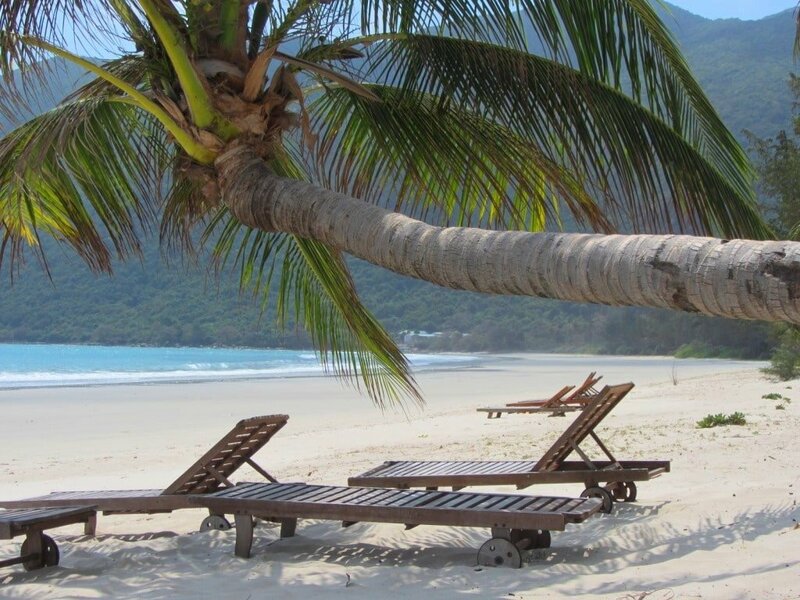 For now, there’s no accommodation on Môn Beach, but you can stay on nearby Dai Lanh Beach instead. 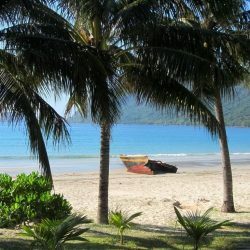 (For much more about Môn Beach see my Guide to Vung Ro Bay). Stretching for more than 10 kilometres, the beach on the east side of Hòn Gốm Sandbar is long, windswept, and deserted. Backed by shrub-covered dunes, the sandbar juts out into the East Sea, 75km north of Nha Trang. Medium-sized rollers break onto the endless sandy beach, the white surf mixing with the turquoise water and making it appear phosphorescent. There’s rarely anyone here, and even if there is, the beach is long enough to find a private spot. Whale Island Resort lies to the southwest of the sandbar – it’s in an incredible location and offers good mid-range accommodation for a couple of isolated nights off the grid. (For much more about the area check out my Guide to Hòn Gốm Sandbar. Quy Nhơn City, in central Vietnam, is a great beach town in its own right. But the ocean road, just south of the city, passes half a dozen superb beaches and coves, making it perfect for a day or two of blissful beach hopping. For more than 10 kilometres the road meanders along the honeycombed coastline, each bend revealing tantalizing glimpses of hidden coves with perfect crescents of sand and blue waters. Look out for pathways and tracks leading off the road and down to the beaches. My favourite is Bãi Rạng Beach: an arc of yellow sand lined with coconut palms between two jagged bluffs. A small fishing community lives on the beach here, and late afternoons a local woman sells delicious rice paper rolls beachside. 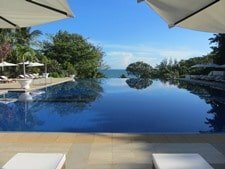 There are a couple places to stay along this stretch of road, including the smart and tasteful AVANI Resort & Spa (formerly the Life Wellness Resort), and the excellent Life’s A Beach. This entry was posted in ALL, Beaches, DESTINATIONS, Resources, The South and tagged beaches, best, blog, guide, Nha Trang, south, top, travel, Vietnam. Bookmark the permalink. Thank you for making us dream but now we are facing a dilema 🙂 . We dont have enough time to visit all these awesome places. 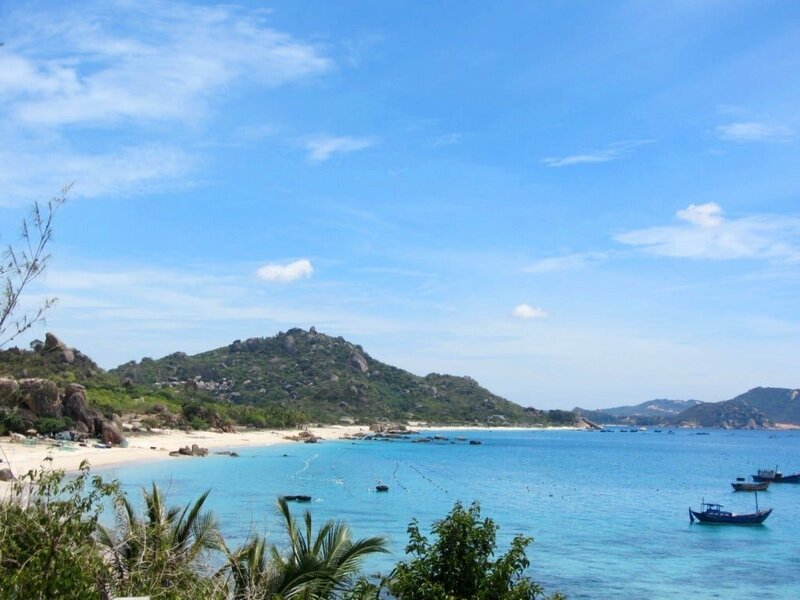 If we had to make a choice between Con dao Island and Cam ranh what would you advise us? 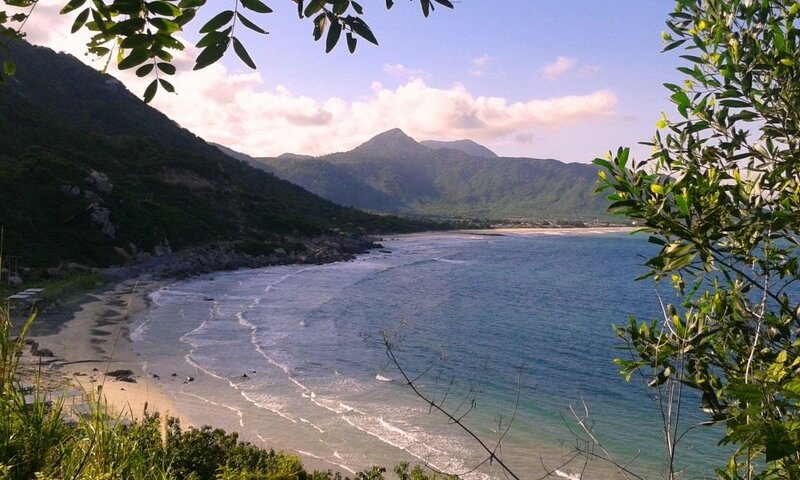 They are both great places, but I think Con Dao has the edge, especially if you like wilder landscapes. 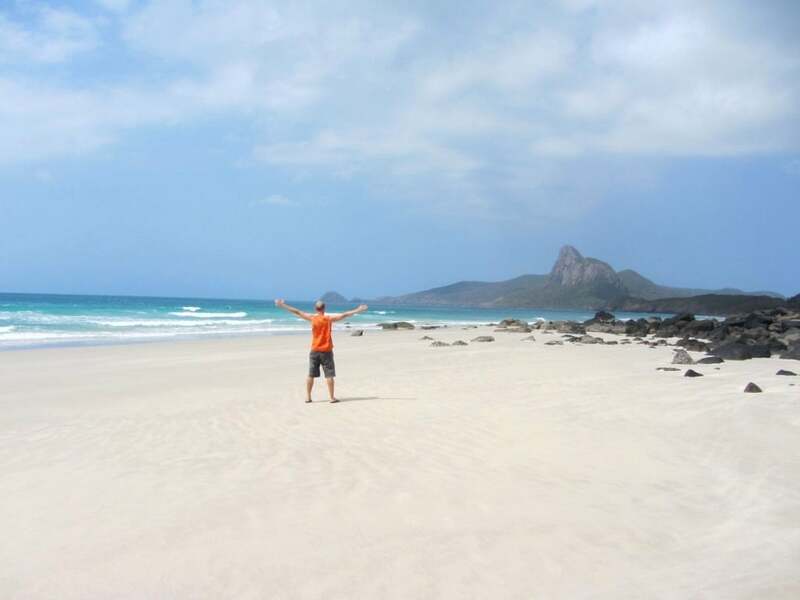 If you haven’t already, see my full Guide to the Con Dao Islands. We have heard a lot about sand flies. Is it a big problem there? It depends which beach you are going to and at what time of year. Thanks. Yes, I’ve been to Hon Kho and Ky Co. Ky Co is on my map of the Coast Road from Saigon to Hoi An. I agree, they are both very nice places with great beaches. Your website has been great while we’ve been travelling through Vietnam, thank you! 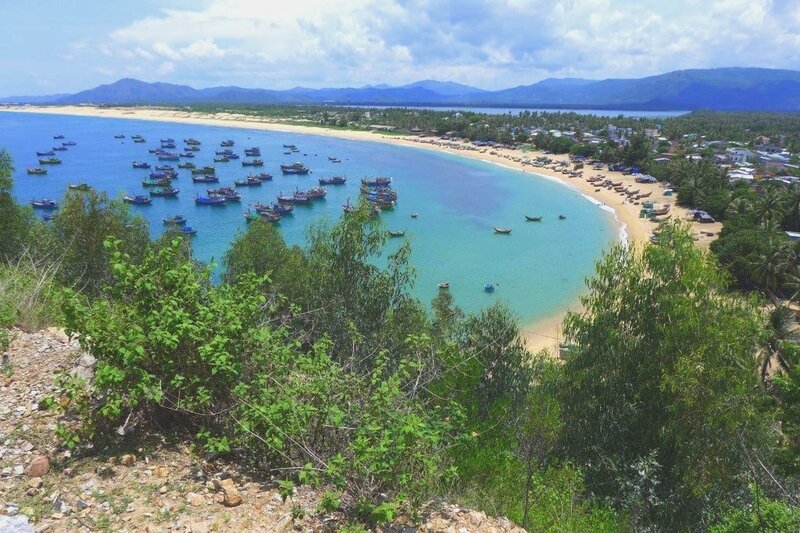 Our favourite place on the coast was Nhon Hai fishing village not far from Quy Nhon, there’s a new hostel just opened up on the beach there and the people are so lovely and the sea was the best we had for swimming and snorkelling. It would be good to keep it a secret but it’s too nice not to share! It’s well worth the detour to stay for a few days off the main roads! Thanks for sharing that – it sounds great and I’ll check it out next time I’m in the area. I’ve been planning to write more about Quy Nhon and the surrounding beaches for ages now. 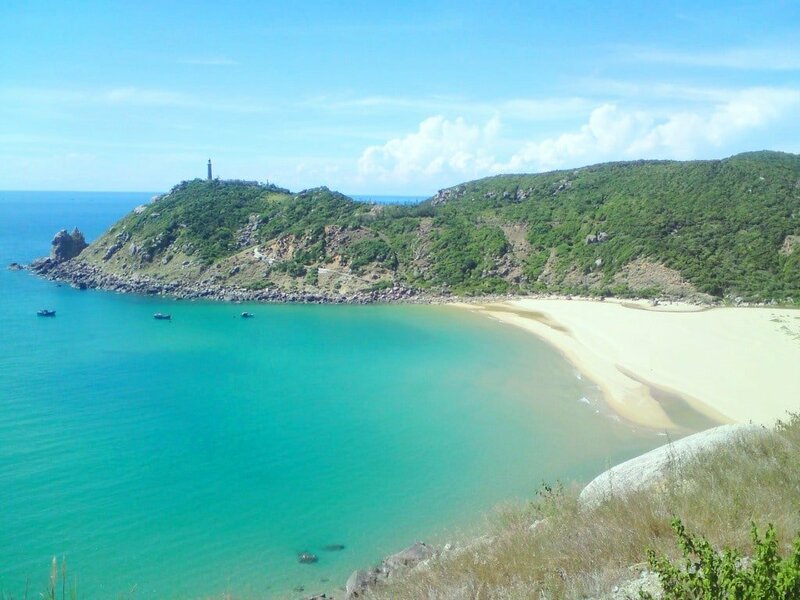 Is it possible to camp at any of the beaches around Quy Nhon City or Binh Đinh? Yes, it is. But when I’ve camped in those areas it’s just been ‘wild’ camping: I find a nice spot near the beach, where I’m not visible from the road so as not to attract attention, and pitch my tent for a night. There’s a lot of talk about camp sites springing up in that area, though. So perhaps you’ll find some official campgrounds too. It’s a lovely area, and great for exploring. Mark – this is a gem of a website, I am so happy we found it. Once we figure out an itinerary for our weeklong to 10 days trip to the South, we will use your site to book accommodation to support the site. 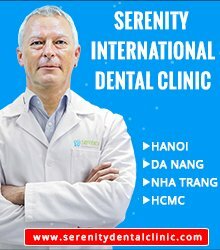 We will be travelling to HCMC a few days before tet officially takes off next month. These beach descriptions are fantastic. I am wondering which of these 7 beaches (excluding phi quoc beaches) you might recommend for two of us who will not be travelling using motorbike (we may use motorbike when we arrive, but not to and from the city to the coast, where we hope to arrange other transport). We are a little concerned about travelling on and around Tet and hope to do a bit of the coast and if possible a bit of the deep delta, plus mountainous area + HCMC. If we can work with you in any way independently to develop an itinerary that would be amazing. Thanks, it’s great to hear that you like my site. 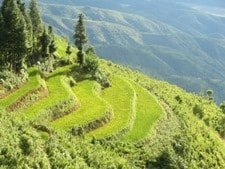 Try Cam Lap and Ninh Van beaches in this list – they are both beautiful and secluded. You can arrange transport to both of them from Nha Trang and there are a few places to stay on both beaches. Once you’re there, you could rent a motorbike to explore the area, which is very quiet. And, yes, that would be great if you could support the work I do by booking your hotels through this site. Hi Tom thanks for your great tips. 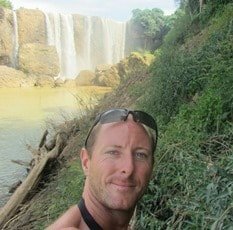 We are a couple and currently in dalat, we have a few days before getting back hone from Saigon, we would like to get to 3 days in a beach around, i saw that from the list you mentioned only Cam Lap is an option, but i cant find any information about hotels in this beach. do you have any information redarding to some stay for budget room? i found one resort but its above 100 dollar per night..
we heard about Mui nhe but i heard that its dirty beach.. Yes, you could go down to Cam Lap. That little promontory is a lovely spot. You can stay at Dao Hoa Vang – there are good dorms for 120,000vnd or rooms too, or stay at Bai Binh Chau – they have rooms for about 400,000vnd or you can rent tents on the beach there, or you can stay at Sao Bien – they have small huts on the beach for 500,000vnd. I haven’t written a dedicated guide to this area yet, but you can find a bit more information about it (including contact information for the places to stay) in this guide. Hi ! thanks for your fast reply and thanks for the information. do you recommend for us to go to Cam Lap or maybe try Mui ne? 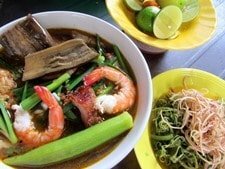 what is the best option for tasting the good side of vietnam beaches for only 2 days? 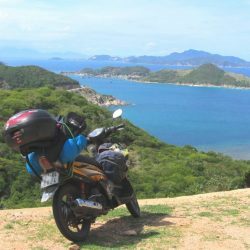 we decided to take an easyrider tour of two days to Nha trang, and stay twi nights in Nha trang, where is the best to stay in nha trang area? where is the beat beach with budget hotel? There are so many hotel options in Nha Trang that I can’t really help you there. Take a look at the budget places listed here to get an idea of what’s available. 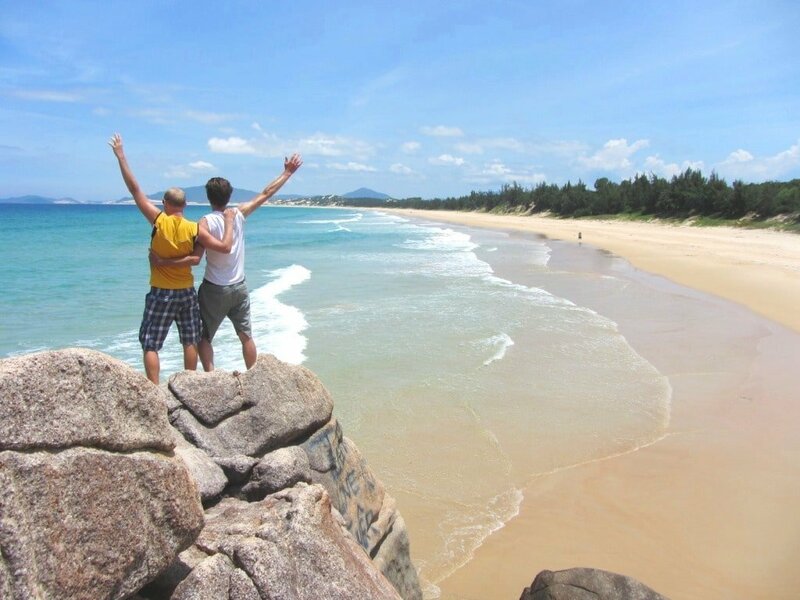 After exploring Saigon with your help, we also did some beach hopping south of Quy Nhon City. We had planned to ride bicylces along this stretch, but pleased we changed those plans when we saw the hills. Note to self to master a motorbike before our next visit! Had a beautiful stay at Bai Xep beach at a place called Life is a Beach – well worth a look in if you are in that area next time. Its quite close to tbe Avani Resort, but more unique and affordable. Located along side, and quite connected with the local fishing village. Oh that makes me want to go back to Quy Nhon now! 🙂 Yes, I know Life is a Beach, but I’ve never had time to get to know it properly – I’ll make sure I do next time I visit. Thanks for the tip. Glad to hear that you enjoyed exploring these beaches, especially now before they are developed. You better hurry if you want to see Vung Ro. The world’s largest oil refinery is being built a few km from there and a city to house the 8,000 workers (in Vung Ro Bay) is in the works. Don’t believe what you read in the press. It will not be some kind of beautiful integrated resort community. It will be housing for oil workers and the industries that support the oil refinery. Throw in a huge upgrade to the cargo port and you’ll see that Vung Ro Bay will become another Vung Tau. I agree, Mark. Personally, the prospect of a gigantic Rockefeller-funded integrated resort on Vung Ro Bay sounds bad enough! THANK YOU for all of that! Your blog is awesome!! You give so much good infos with great details. Last week, with my boyfriend, we did the beach hopping near Quy Nong and like you, we really liked Bai Rang beach. I think we wouldn’t have find it without your blog. The weather was not so nice, but the damatic sky made really good pictures! Tomorrow we will do the ride outside Mui Ne. We’re really looking forward to it because there nothing like escaping the crowds on your motorbike! Your directions will be so usefull because when it’s the first time you visit one place, it´s not always easy to find the great spots. I also took many notes of all the cafés and food you are recommanding in Saigon. We’ll be there for 10 days for Tet, so we will definitly have time to try some of them. Your entry about the snails in particular made me very happy! I’ve wanted to try those since Hanoi but was a bit intimidated because I had no idea how they were cooking them and what to ask for. Now, all the translations are in my notepad, so I’ll be able to ordre and know what I eat! Thanks again, you are doping a terrific job. 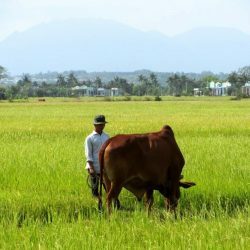 I think in Vietnam it’s pretty easy to feel like you’re in a herd, but with blogs like yours, there is absolutely no reason to be a part of that! !